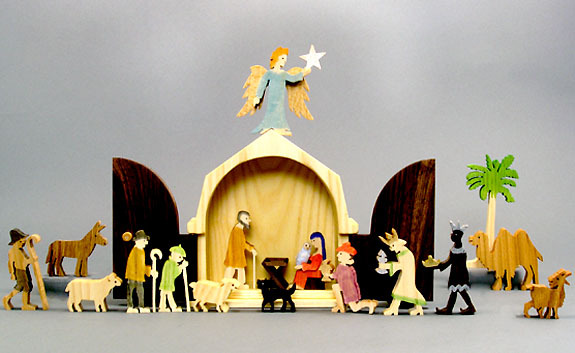 Our wooden Christmas Story includes 18 wood figures (Joseph is 2 3/4" tall). Everything stores inside the stable whose doors open to create the traditional manger scene. This set is handcrafted and dye painted in New York State (USA) from 8 different native American hardwoods. Our nativity scene represents an outstanding value for Christmas display, collectors and holiday gift giving.